Summary: A summer camp program in Poland for religious girls in the Bais Yaakov network. 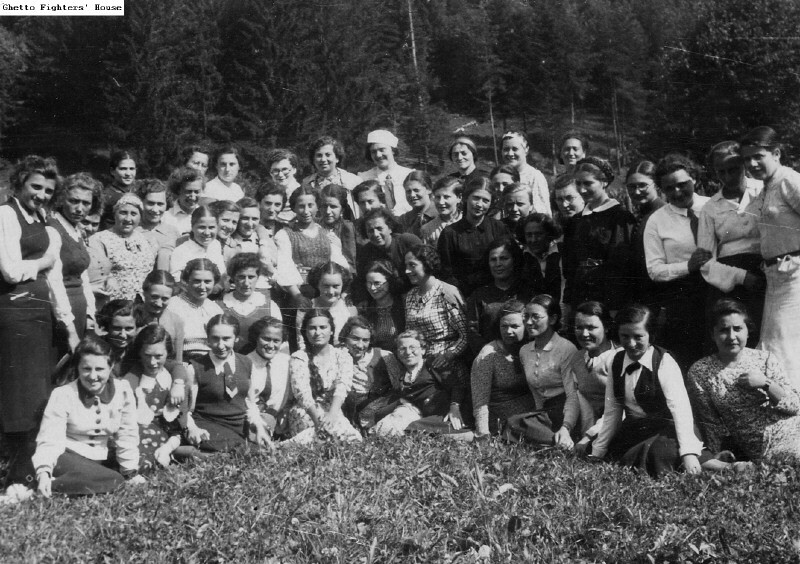 The young woman standing at the far left is Gutta Eisenzweig (Sternbuch). Donated by Miriam Novitsh. Document Location: Ghetto Fighters House Archive, Item #30425.